Invited to the Paris launch of Citroen’s all-new Cactus model, Iain P W Robertson determined that a few extra hours spent on a road trip would be far preferable to hanging around in an airport lounge. As the C4 Cactus was in prospect, to tackle the drive through France in its most recent family member, the C4 Picasso, seemed ideal. 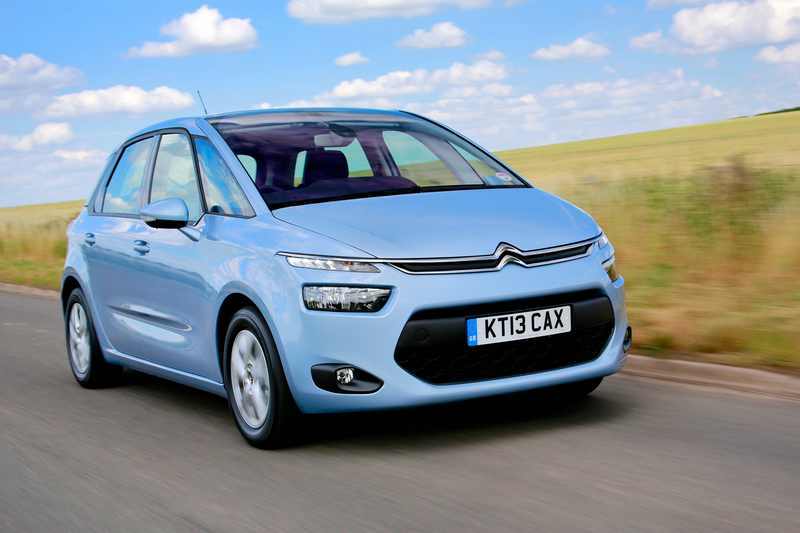 Recently introduced, the new model is the latest iteration of a car that has been hugely important in Citroen’s UK model range for the past fifteen years, having been launched originally as the Xsara Picasso in 1999. Of course, it was subjected fairly soon after its introduction to Citroen’s big ‘cash back’ promotional deal of the turn of the Millennium. 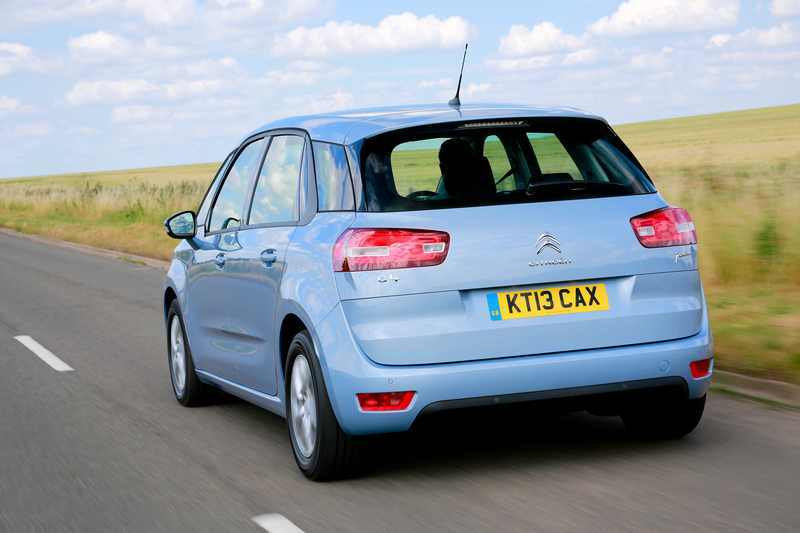 As a result, many owners were able to buy into Citroen’s junior-league MPV for around £10,000 (or even less). This issue makes the £19,975 price tag of the latest version, now based on the C4 platform, look conspicuously expensive. The sad truth is that the Picasso is still market competitive and, while I was never a fan of the earliest versions, I actually like this latest one quite a lot. To add interest, it was the first UK registered version of the 1.6HDi 90 model, which emits a modest 110g/km of CO2, to make it one of the less polluting of family cars, while its stated 67.3mpg (official combined figure) is also among the more frugal. Not equipped with the annoying ‘stop-start’ technology meant that I had one thing less with which to become frustrated. Never having driven this model in its previous form, I was looking forwards to what could have been a most challenging drive, after all, 92bhp is hardly heather-burning, despite its Band B taxation rating and zero VED cost in year one. 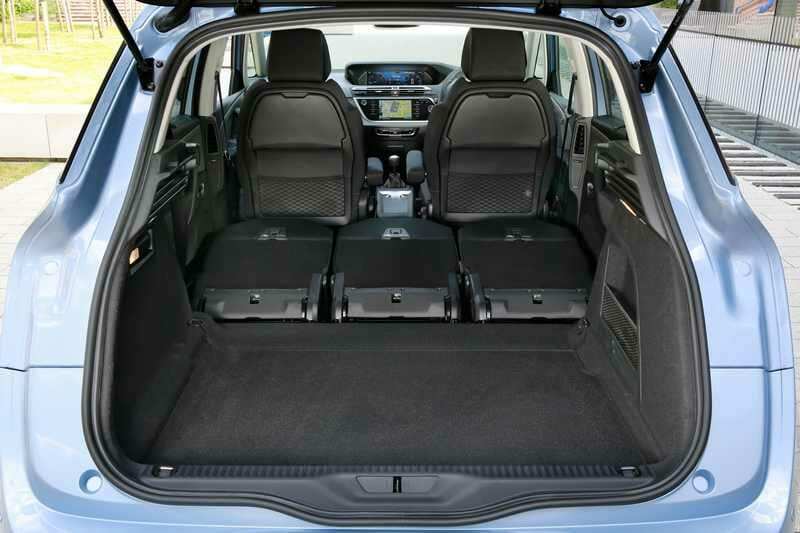 Luggage space is excellent, with an enormous boot capable of carrying most of a family’s holiday luggage with ease. Shopping trips will be a doddle and the boot area is secreted from outside observation by a decent shelf. It is not so bad within the cabin either. The driver and front passenger have deep and wide door pockets, while the centre console features a drop-down bin for recharging electrical items and another bin, with a sliding top, located between the front seats is deep enough for most motoring paraphernalia, while being fitted closely enough to the seats to stop items from being lost between them. There are also plenty of power sockets. The glove box is typical PSA, half-full of fuses, with no space for gloves. The digital instrument panel is a mass of dark grey readouts on a light grey background, which is singularly uninspiring, as the more luxurious versions boast a colour panel that can also be tailored to a driver’s desires, an aspect not possible on the business-like VTR+ specification of our car. Travelling with a trusted colleague, Rob Marshall, whose primary role was to navigate us across France, I was keen to hear his views from the passenger seat. His first comments surrounded the ride quality. Gallic cars of the past were always renowned for their resilient ride and ability to absorb the worst of road imperfections without jarring the car’s occupants. Rob was full of praise for the Picasso, within just a few miles of departing my Lincolnshire base. However, I had started to get an early feel for the accuracy of its electrically powered steering, although the brakes, which suffered from an initial ‘dead’ period, as the pedal was depressed, that turned into a feeling of being ‘over-servoed’, were slightly annoying. The weight of the clutch and the speed with which the lever could be sliced around the five forward gears was excellent. Although Rob complained that the engine sounded too vocal, I was not affected by it in the driver’s seat and, while its barely run-in low mileage on the journey outwards meant that it all felt very tight, the return journey through France not only felt significantly better but its fuel economy was markedly improved with the extra miles. We obtained 43.7mpg getting to Paris, without touching a single motorway, although the Picasso returned a superb 58.8mpg cross-country on the way home. I do believe that there are some benefits to be obtained from running-in an engine from new. The car’s performance improved apace. Not wishing to over-drive it, I was fairly restrained on both legs of the trip and took every opportunity to use the car’s excellent spread of torque (pulling power), without running it out at the top end of its register. In other words, it was a steady and pacey drive, aimed at avoiding aggression at any level. If there was one major aspect, with which I was happiest, it was Picasso’s marvellous lack of wind noise, despite having large door mirrors and presenting a fairly large frontal area to the airflow. Exceptionally comfortable seats, with plenty of space in the rear (had we been carrying passengers), the Picasso ate miles most comprehensively, cruising happily on French roads at between 30mph to 80mph, as its numerous restrictions demanded. Its overall handling was also excellent. 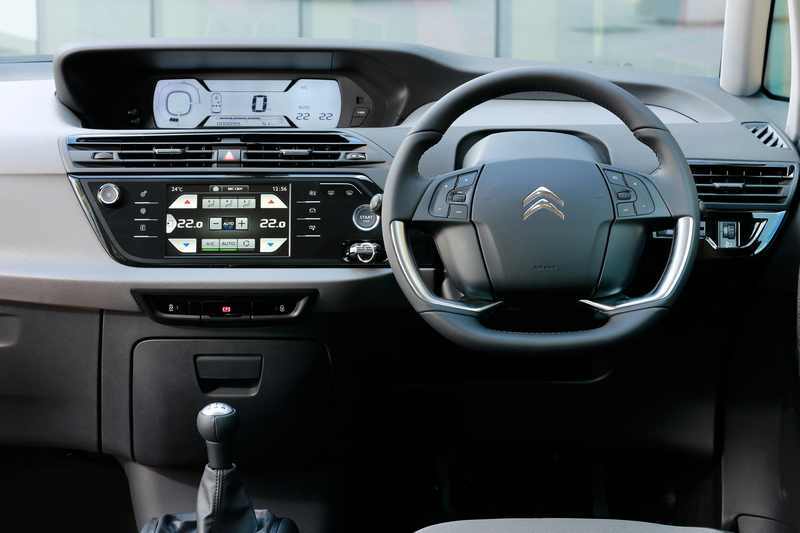 Very well equipped, with electric windows all-round, the slider headlining panels that reveal the full extent of the panoramic windscreen, dual-zone climate control, antilock brakes, 16-inch alloys, cruise and stability control, it is rated in Group 15A for insurance. While I did not expect a ball of fire in performance terms that the Picasso was more than capable of maintaining pace with the rest of the traffic was perfectly satisfactory. Its headlight performance was very poor, which was disappointing, although I can almost forgive it with its ease of access and first-class driveability, which turn it into an excellent family car in a very competitive market sector. Conclusion: Unsurprisingly well-suited to driving on France’s Routes Nationale and slightly rougher Departmente roads, having been developed there, the Picasso rides sublimely on Britain’s broken roads’ network. The bottom-line view is that, in HDi90 form, the Picasso is a desirable family car that need not cost an arm and a leg to live with.